Love the stripes! Great B & W Landscape. a magnificent capture and reflections, fav! Beautiful, it has a very classic look. Wonderful tones & composition! Well seen. The monochrome really changes everything in this scene. Brilliant. Very dramatic - like the B/W for this image. That's a beauty. Love it in black and white. Unusual sky. Great reflections. Black and white really shows it off. I went to the pond to take photos of the ducks but they didn't want to know. Thank you for all your kind comments and favs - they are very much appreciated. 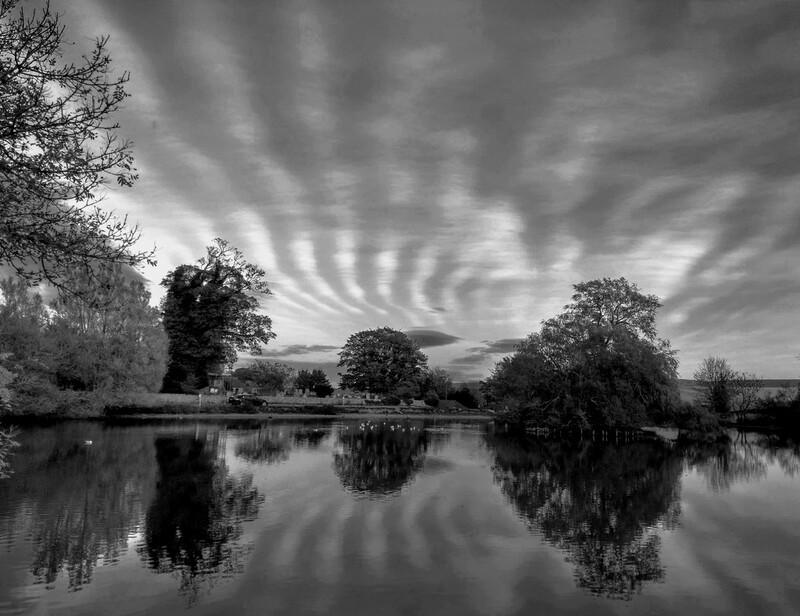 It looks great in B&W..such an amazing sky reflected in the water. Very nice shot. Really like the reflections coming off of the lake.